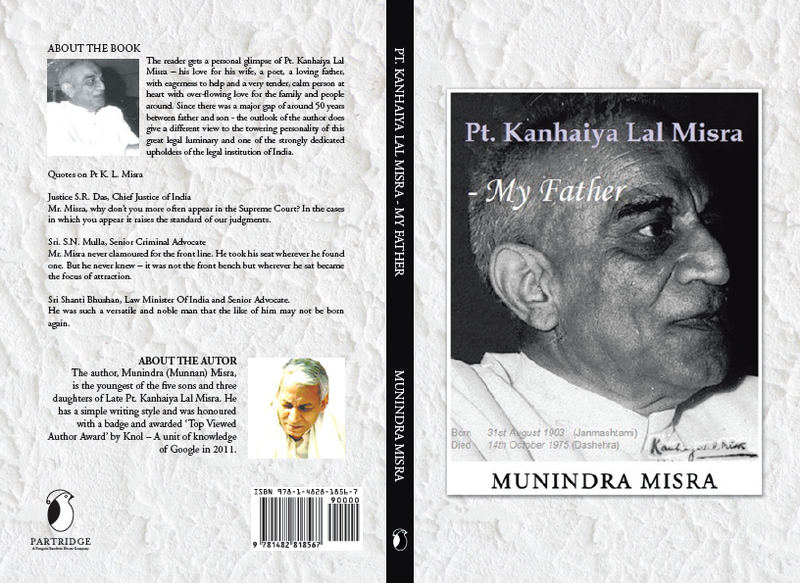 Munindra Misra has dived deep into the basic concepts of Hinduism (Sanatan Dharma). He has explained the meaning of the various scriptures and also, in simple English rhyme, he has probed into the inner meaning of some of the well known Hindu (Sanatan) scriptures. 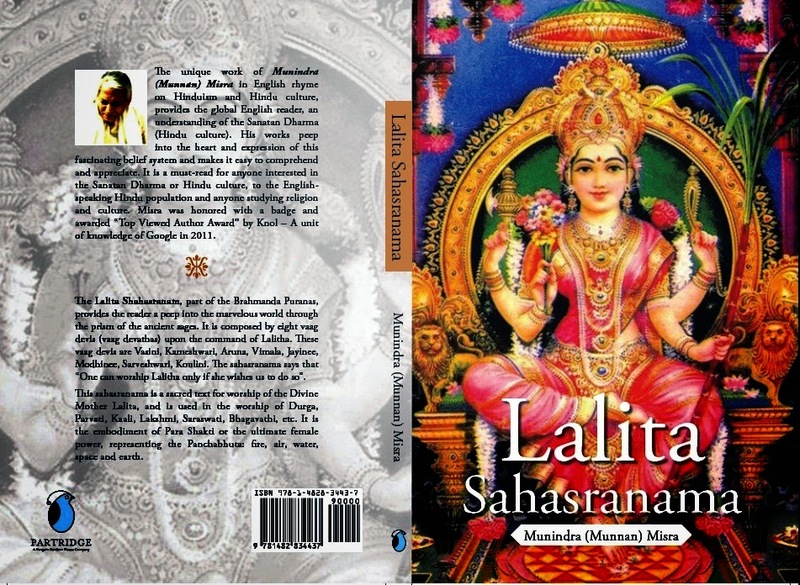 His works grasp the true depths of Hinduism lucidly. 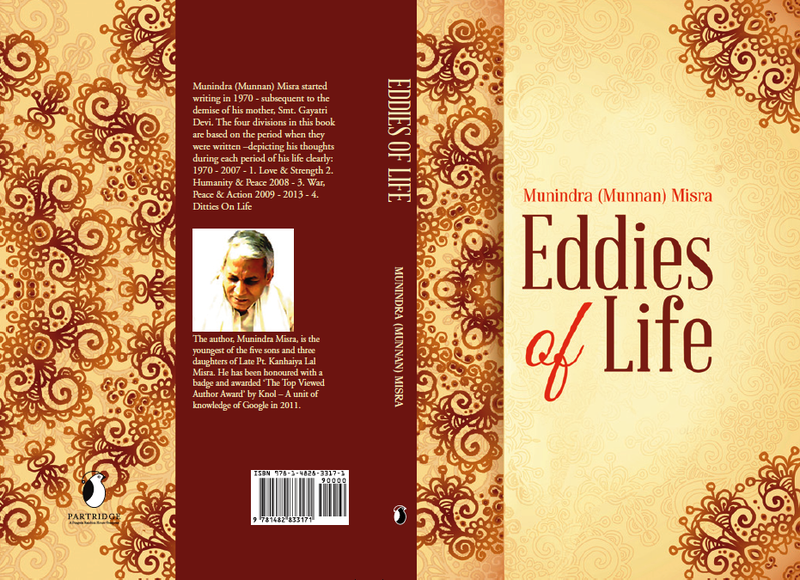 The author, Munindra (Munnan) Misra, has beautifully painted the canvas (of Hinduism) with multifaceted colours. 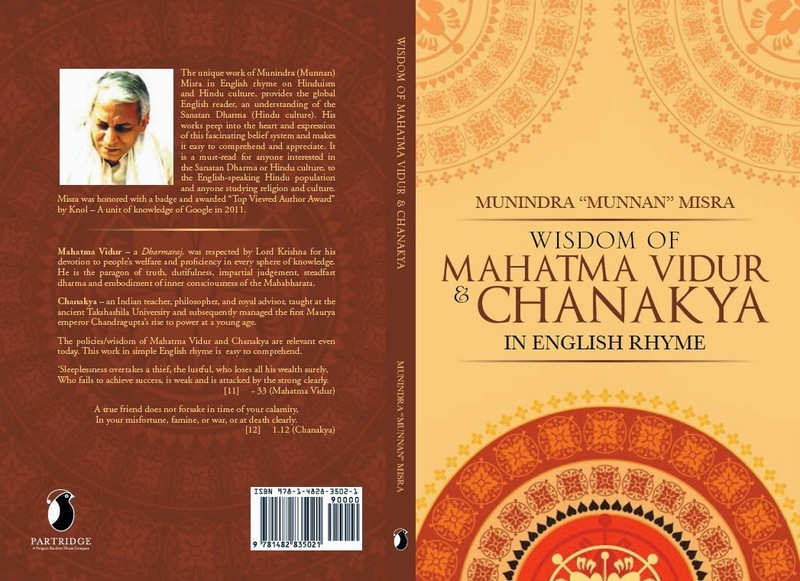 He has assisted in enriching the readers with easy comprehension of the numerous scriptures (stuti, stotra, chalisas) of the Hindu (Sanatan) culture in English rhyme along with keeping the original scripture (in Hindi/Sanskrit). 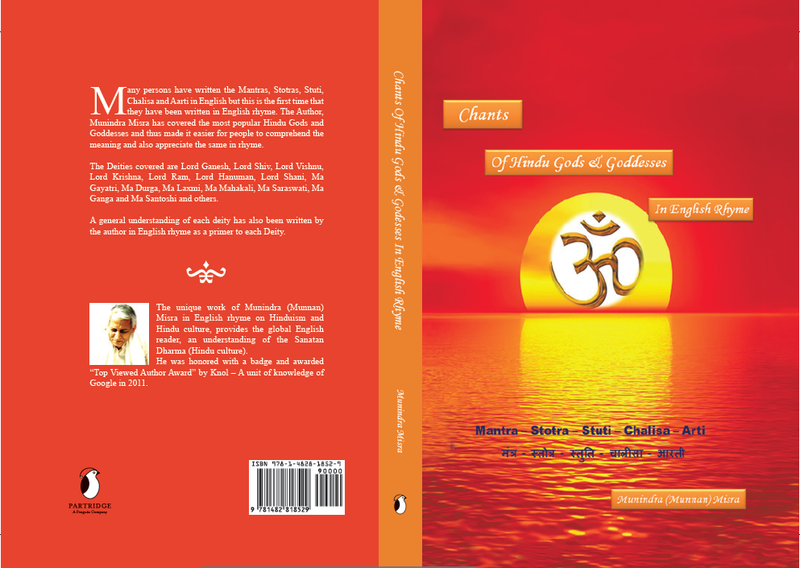 This endeavour provides the English speaking Hindu (Sanatan Dharma) global world-wide population, a re-introduction to these chants, which they would be knowing (the original chant) but in many cases not comprehending. The Gods covered are Ganesh, Shiv, Vishnu, Krishna, Ram, Hanuman, Shani and the Goddesses are Sati, Parvati, Gayatri, Durga, Laxmi (Lakshmi), Kali, Saraswati, Ganga, Santoshi. These Hindu gods and goddesses are the most popular. 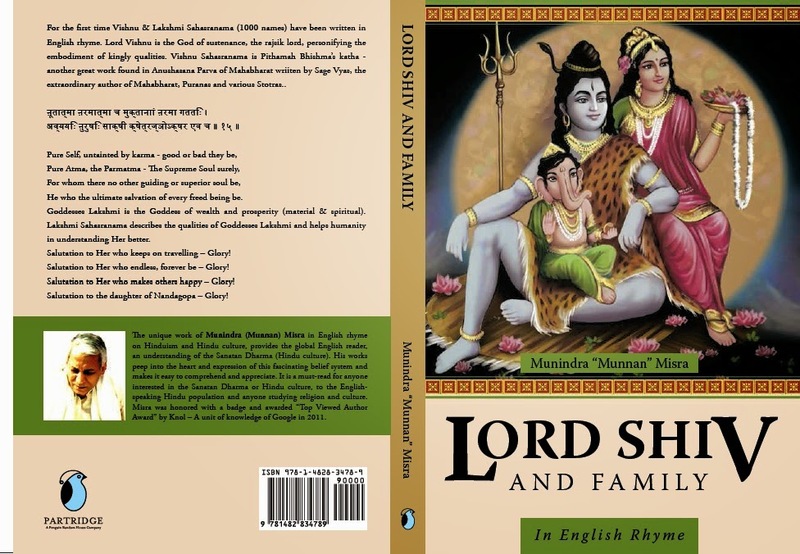 This work is unique as the chants covered in this book have never been written in simple English rhyme previously – in fact a collection all these chants (even in Hindi/Sanskrit) together in one book itself may not be available. 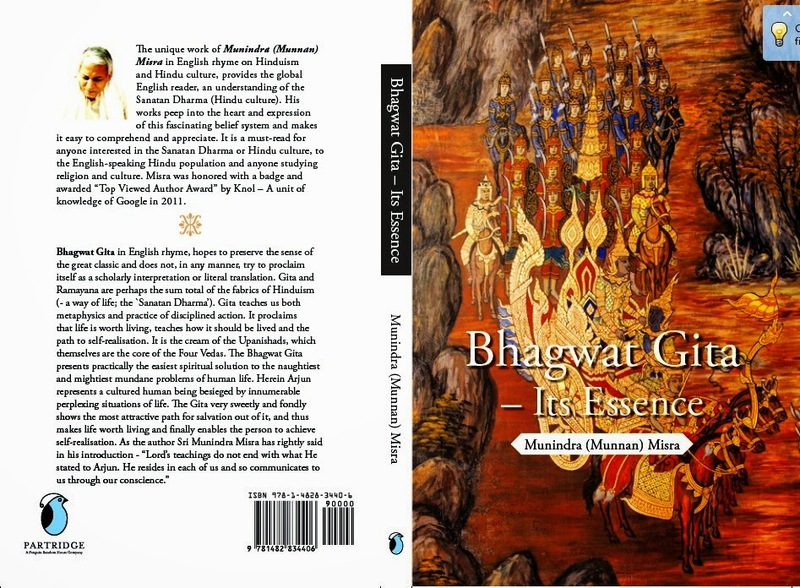 To the English speaking Hindu population across the globe who are not so comfortable with the original text this would reconnect them with their culture and to those who comprehend the original text this grand collection would be appreciated. The readers would have joy and easy comprehension of the most famous Hindu chants in the form of stuti, stotra and chalisa of the various popular gods and goddesses. From cycle of births and death finally. The four fruits of life it ever is giving. 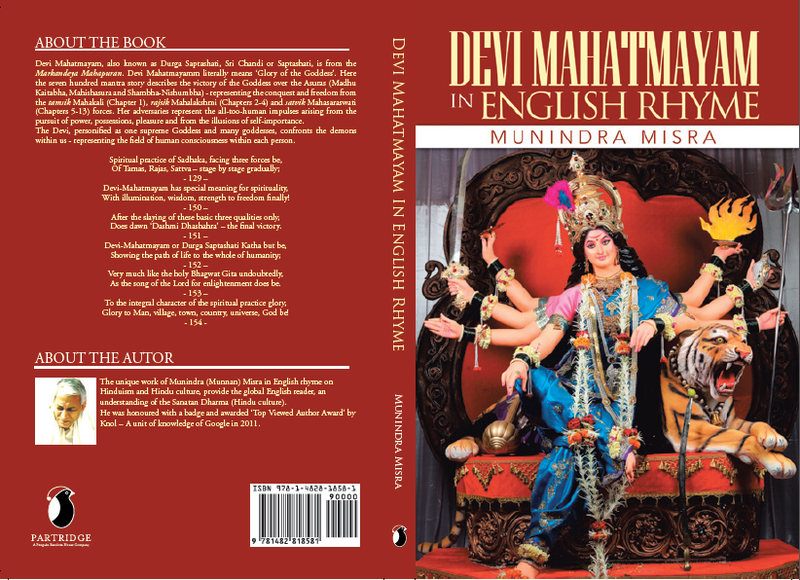 Devi Mahatmayam is a seven hundred mantra story describing victory of the Goddess over Asuras representing conquest and freedom from tamsik Maha Kali (Chapter 1), rajsik Maha Lakshmi (Chapters 2-4) and satvik Maha Saraswati (Chapters 5-13) human tendencies. Devi – The one supreme Goddess, personified as many goddesses, confronts the demons within us representing the field of human consciousness within each person. Asuras – her adversaries, represent the all-too-human impulses arising from the pursuit of power, possessions, pleasure and from illusions of self-importance. 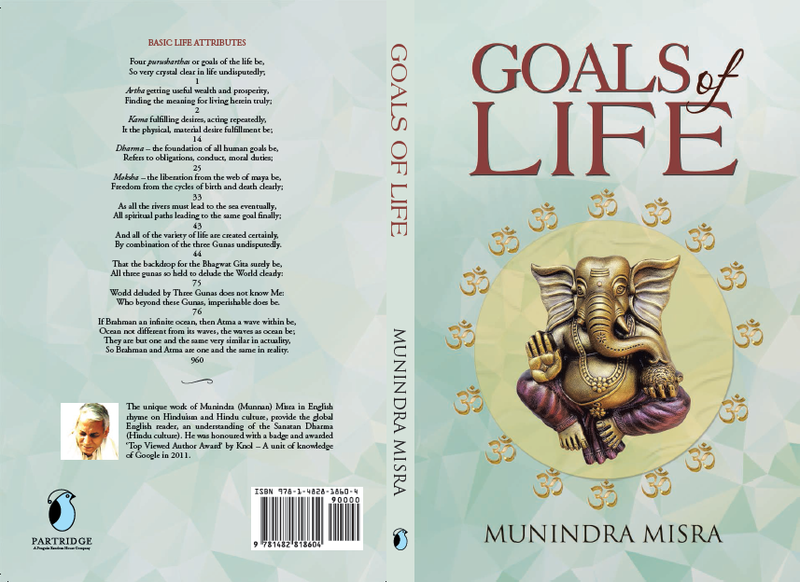 In reality, herein are defined the primary human tendencies – passions, wealth and even goodness. Only when all acts are preformed unaffected by these primary tendencies and the act itself is dedicated to the Lord, the final liberation comes and the real elixir of life is tasted. Rajas is a blowing wind tossing but indiscriminately. The dirt is in form of Kama, Krodha and Lobha really. Sattva a plain glass, through which you see Reality. Does dawn freedom, awareness of truth finally. All our desires are desires of the soul, ultimately. Soul‟s longing through mind and senses activity. The aspiration for liberation of the human but be. Devi-Mahatmayam describes this march unmistakably. As the song of the Lord for enlightenment does be. By combination of the three Gunas undisputedly. Who beyond these Gunas, imperishable does be. So Brahman and Atma are one and the same in reality.